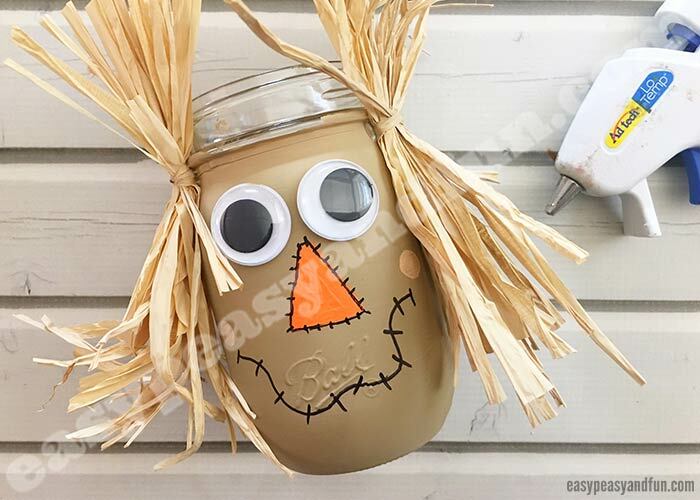 We are really excited to share this wonderful scarecrow mason jar craft idea with you (a great fall mason jar project to make), as it’s a wonderful project to make as well as a fancy homemade fall decor. 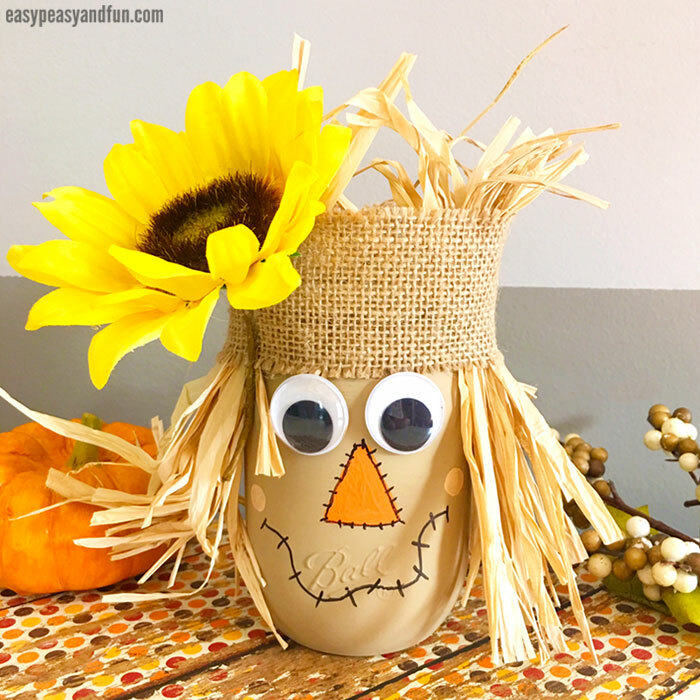 Want to make some fall mason jar crafts? 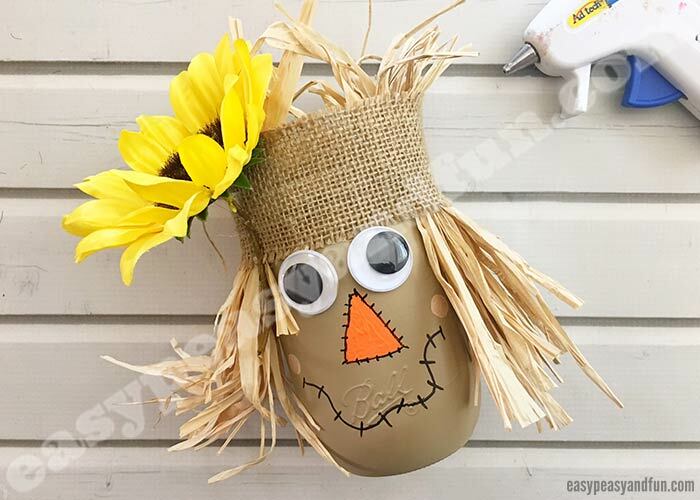 There’s not a project more fun than making an adorable scarecrow (you could absolutely make a pretty scary one too). 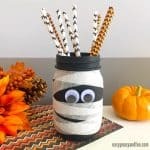 This little fellow will make the most wonderful fall decoration, either in the classroom (hint, hint this one makes an excellent DIY pencil holder). 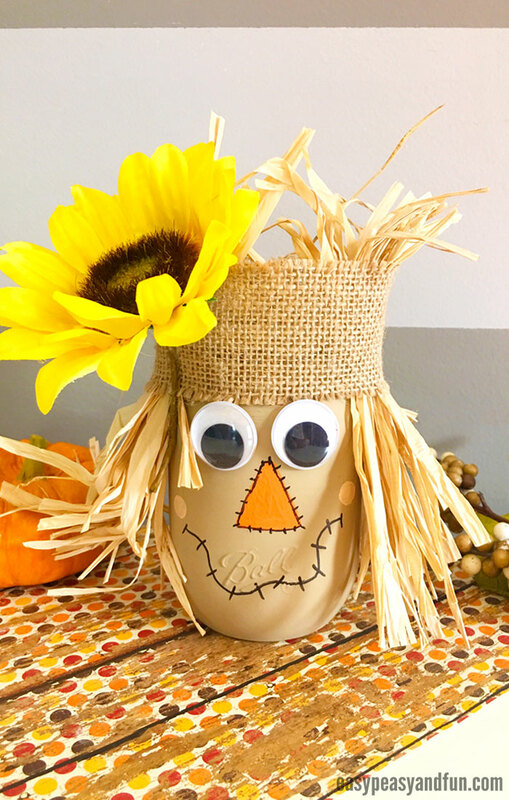 There are many ways you can go about decorating your scarecrow mason jar craft, but we really do hope you’ll follow suit and add a sunflower as it makes all the difference. 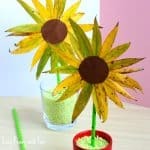 It will bright up the room it will be placed in, and lift the mood on the gloomiest of days (as we all know fall does have it’s fair share of gloomy). 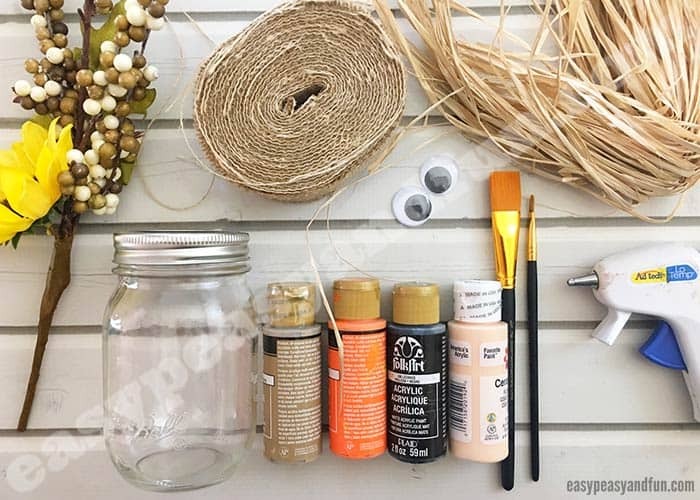 Ready to make a fall mason jar of your own! Let’s make one (or a dozen). Any other decorations more than welcome. 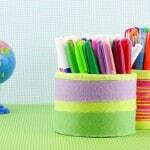 Lay down a piece of newspaper or scrap paper before you get started. 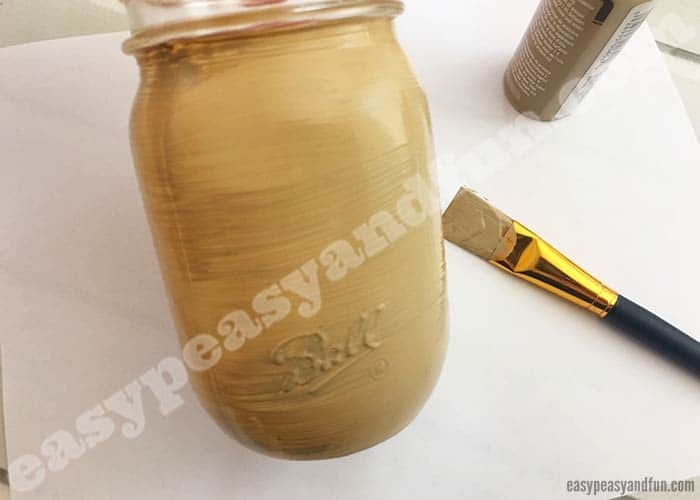 Paint the outside of your Mason jar tan with your large flat tipped paintbrush and let dry. 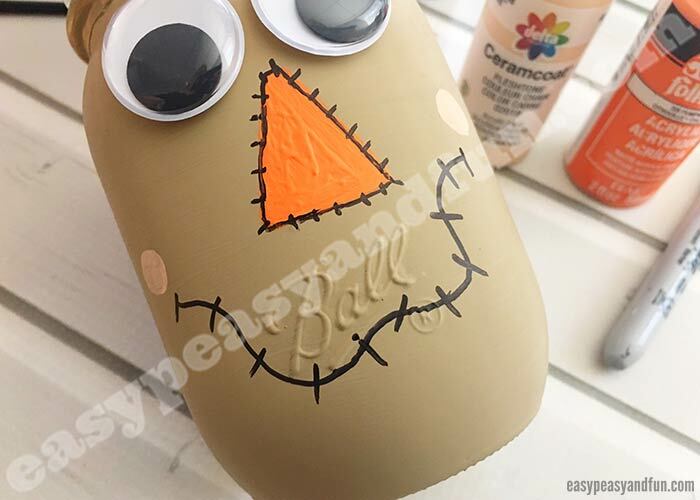 Use your smaller paint brush to paint on a triangle shaped nose on the front center of your Mason jar with your orange paint. 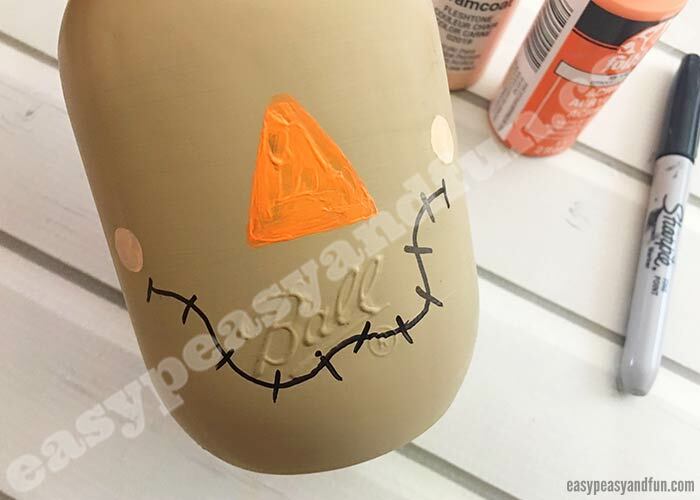 Use a sharpie or your black paint to draw/paint of a wavy smile under the nose with several dashes through the smile, as well as around the nose. 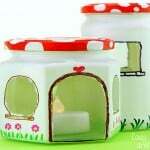 Then paint on two small cream circles for the cheeks at each side of the smile. 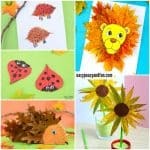 Now carefully glue two googly eyes above the nose with your hot glue gun. 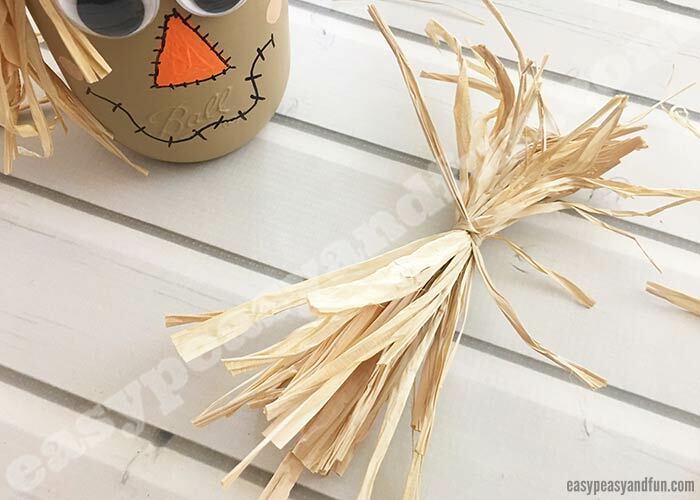 Cut two sets of 10 strands of straw about 3-4″ in length and tie the strands together with another piece of straw for the hair and carefully glue to each top side of the Mason jar. 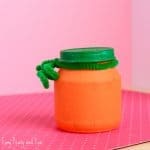 Measure and cut a piece of burlap ribbon to fit around the top of the Mason jar and secure with glue. 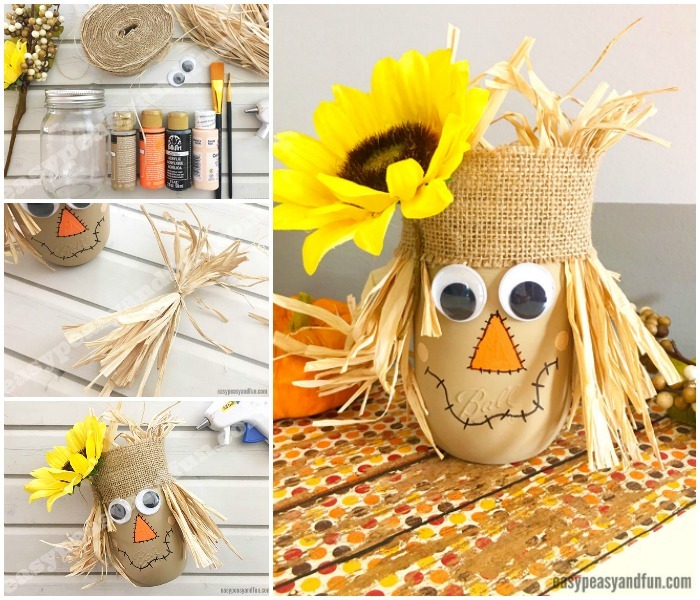 Glue a sunflower onto the top left side of the burlap and your scarecrow is complete!